Anthony Ogogo (11-0, 7 KOs) will fight for his first pro title when he clashes with Craig Cunningham (16-1, 3 KOs) for the vacant WBC International Middleweight title at the Barclaycard Arena in Birmingham on October 22, live on Sky Sports. Ogogo’s first shot at professional hardware comes after returning to action with three successive wins following a difficult time with injuries that had previously stunted his promising career in the paid ranks. The London 2012 Olympic bronze medal hero has blown away his three opponents inside three rounds since his return in May, and the 27 year old is preparing for an exciting clash with another man in great form. Cunningham successfully defended his Midlands Area Middleweight title in a six round toe-to-toe war against Ryan Aston in May and then dropped down to add the Super-Welterweight strap by seeing off tough Jason Welborn over ten rounds. 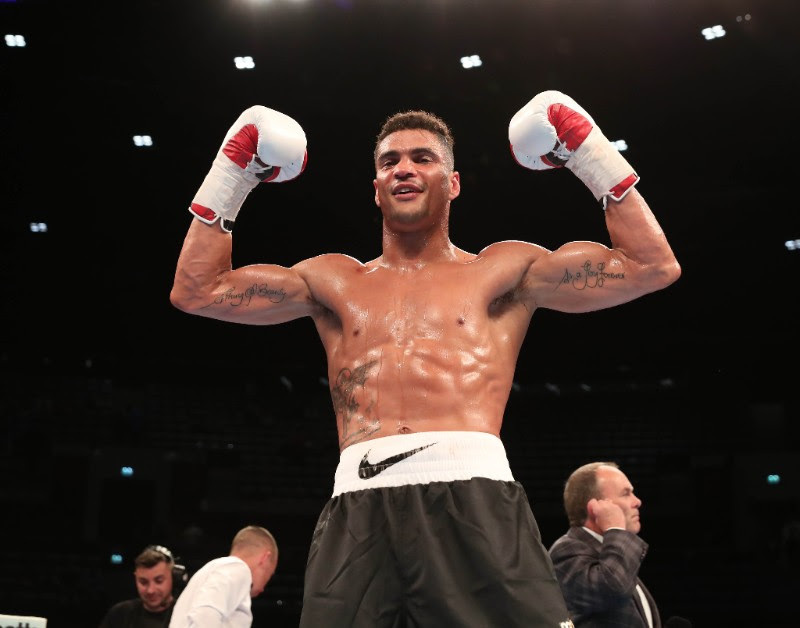 Those wins extended the 28 year old’s streak to five since his sole loss to former WBC International champion Tom Doran, and the Oldbury man will be confident to crash the Lowestoft man’s party, but for Ogogo, he says it’s time for his hard work to pay off and land his first belt. “I’m delighted that this fight has now been confirmed and am incredibly excited to be fighting for my first title on such a great card in Birmingham live on Sky Sports,” said Ogogo. “I’m feeling fitter and stronger than I ever have done before and am looking forward to getting in the ring on fight night and doing the business. “I am fiercely ambitious and determined to reach the very top of this sport but know that I can’t look beyond Cunningham. He is a good fighter with a good record but I am completely focused on what I need to do to win that belt. Ogogo and Cunningham’s clash is part of a huge night of action in Birmingham topped by a fierce local derby between Frankie Gavin and Sam Eggington for the vacant WBC International Welterweight title. A host of Birmingham boxers are in title action as Gamal Yafai defends his Commonwealth Super-Bantamweight title against Sean Davis, Marcus Ffrench and Robbie Barrett meet for the vacant English Super-Flyweight title, Don Broadhurst and Louis Norman fight for the vacant English Super-Flyweight title and the vacant Midlands Area Super-Lightweight crown is up for grabs between Jordan Cooke and Andy Keates. Former World title challenger Brian Rose is in action alongside Cori Gibbs, Sam Bowen, Ryan Kelly, Joe Sherriff and Lennox Clarke.